What’s the Difference between the 2018 Jaguar XE, XF and F-PACE? When you’re known for creating vehicles that people love, it’s sometimes hard to come up with something new. Jaguar never has that problem. This manufacturer has been delivering impressive models for years, always doing something to outshine the last lineup. In 2018, Jaguar has made some innovations to popular choices like the Jaguar XE, Jaguar XF, and Jaguar F-PACE. If you can’t wait to see what these models will offer, be sure to keep reading. In Paradise Valley, you need a vehicle that stands out against the heat. The 2018 Jaguar XE will bring style and power to the road, as this vehicle was designed to fulfill the sports car enthusiast in you. With a powerful engine as well as a beautifully masculine design, the Jaguar XE will get your heart pumping from the moment you step inside. Throw in the detail that went into the exterior and interior features, and you’ll be surrounded in class every time you hit the road. Having a luxury vehicle on the Phoenix roads can make driving less of a chore. This vehicle offers plenty of technology that makes it easy for you to stay connected. With the InControl technology, you can still access your favorite apps, download music, respond to text messages, and so much more. In addition, you’ll experience what it’s like to make heads turn as you drive by in a vehicle they wished they had. Find the 2018 Jaguar XF near you and bring it home when it’s ready. The 2018 Jaguar F-PACE delivers an immense amount of versatility to the Scottsdale roads. With more than 35 cubic feet of cargo space and the ability to fold down the rear seats to expose more cargo space, this is a great choice for those who love adventure or have a lot to haul. In addition, the versatility on this model is coupled with an immense design that delivers incredible showmanship and class. Regardless of where you want the road to take you, the new Jaguar F-PACE will do everything it can to make your dreams come true. With so many great vehicles to choose from, it’s hard to pick just one to bring home. When the 2018 Jaguar lineup comes out, you’ll be surrounded by innovative and attractive models that make it hard to choose. 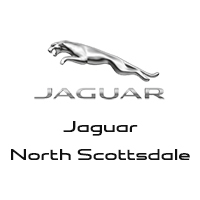 Jaguar North Scottsdale will be able to help you bring the right one home. From the 2018 XE to the XF to the F-PACE, there will be something on our lot to excite you. Visit us at 18100 N Scottsdale in Phoenix to see our inventory, or contact us at 480-538-4200 to learn more about the upcoming Jaguar models. 0 comment(s) so far on What’s the Difference between the 2018 Jaguar XE, XF and F-PACE?